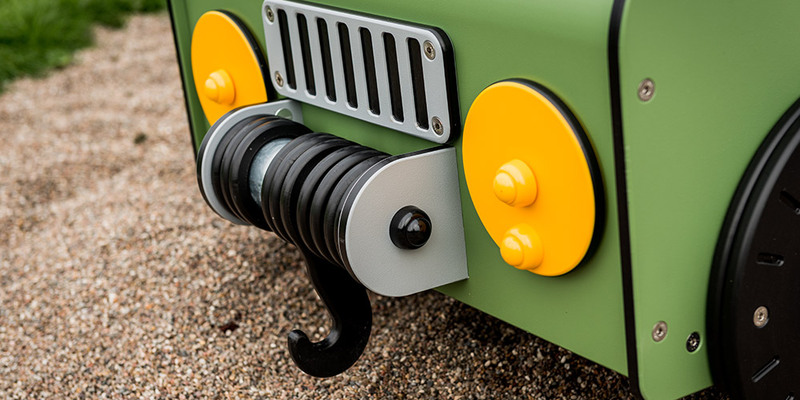 What’s lurking around the corner? 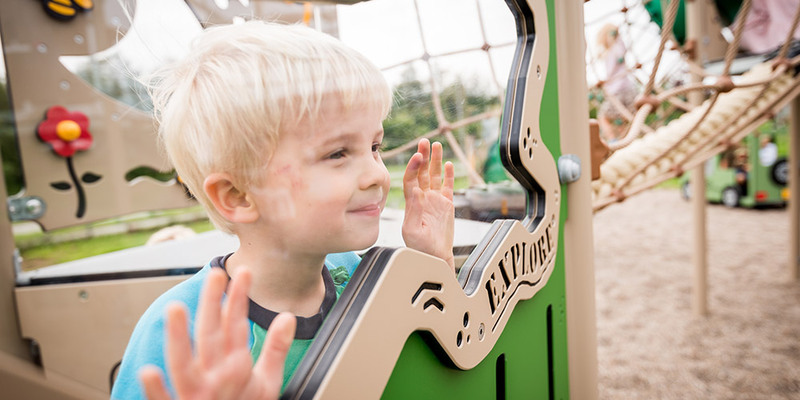 Exciting worlds take shape in their imagination when children have fun in a play environment from LEDON’s Explore series. 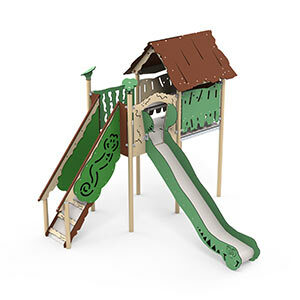 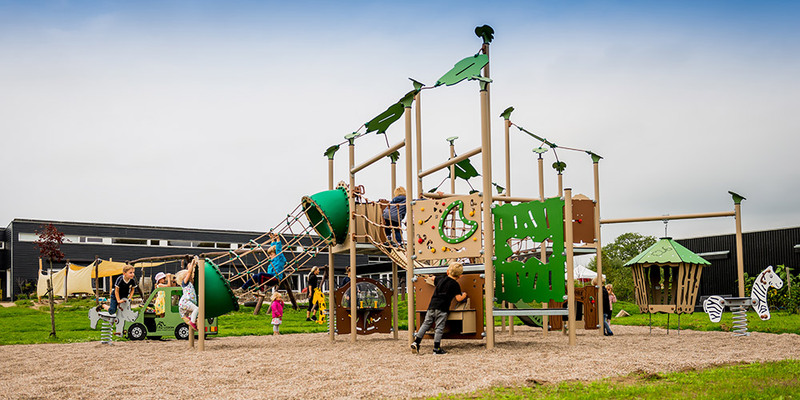 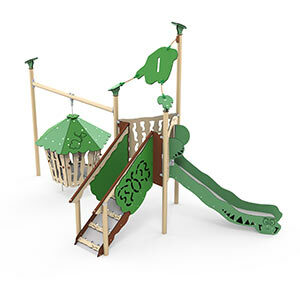 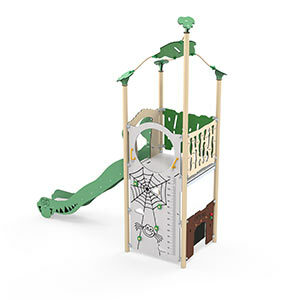 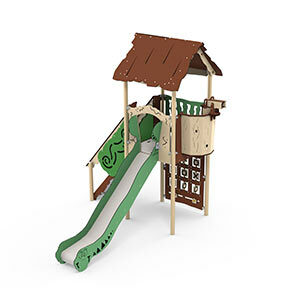 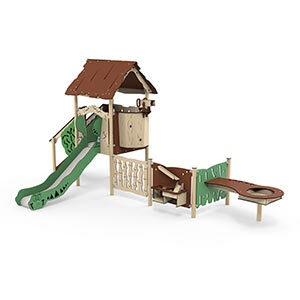 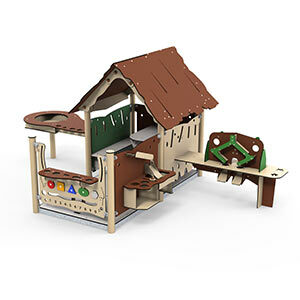 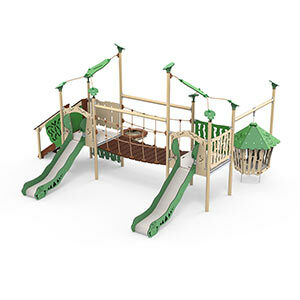 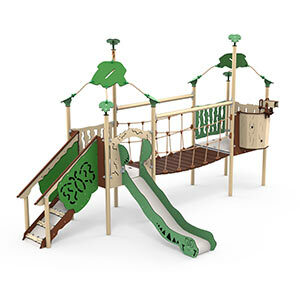 This catalogue presents the wide range of play equipment in the series, which when combined creates the perfect Explore universe for your particular playground. 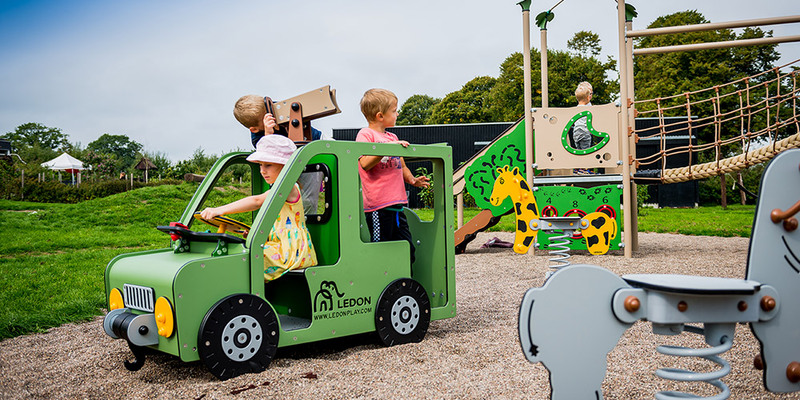 LEDON EXPLORE has been designed in collaboration with children. 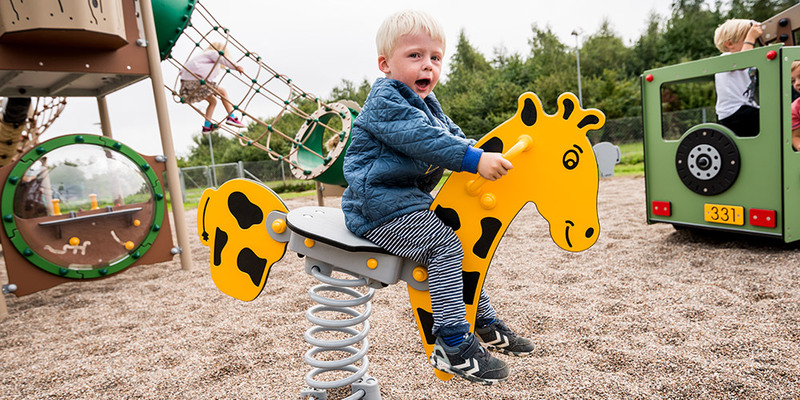 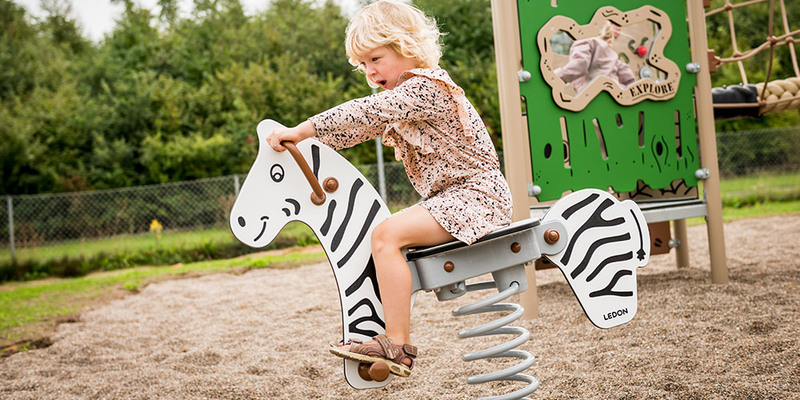 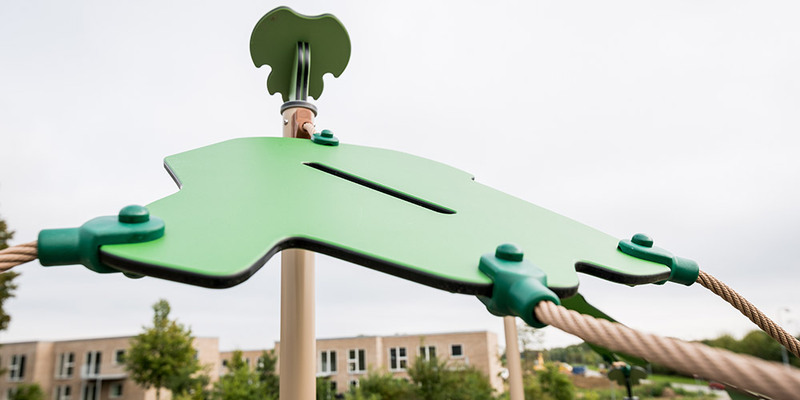 Children are our experts, and together with them, we design the most fun playground equipment which intelligently stimulates child development in every way. 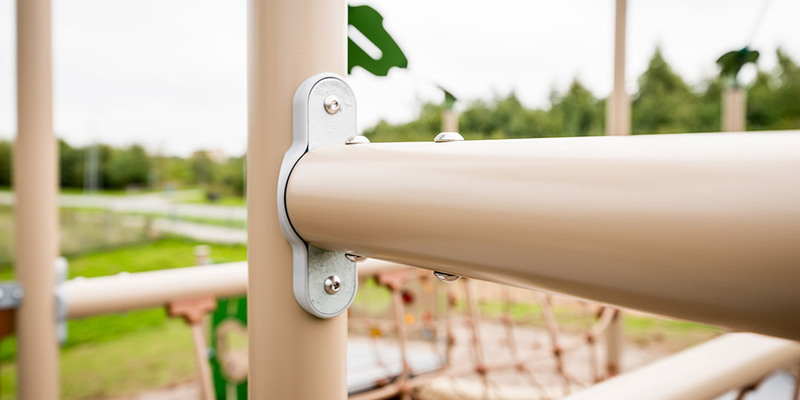 We do not compromise on quality or safety. 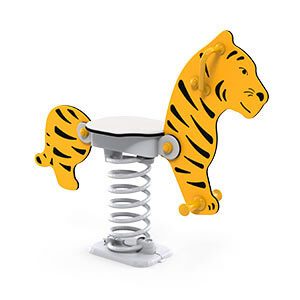 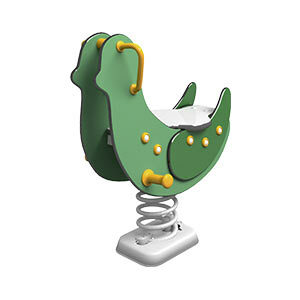 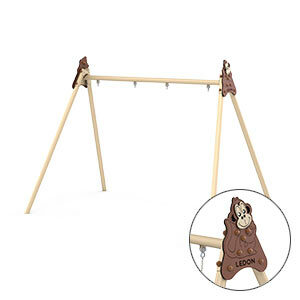 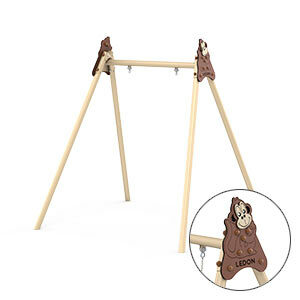 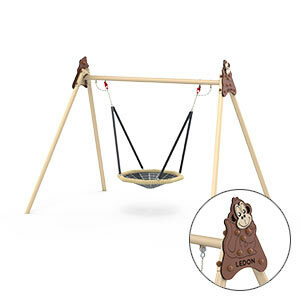 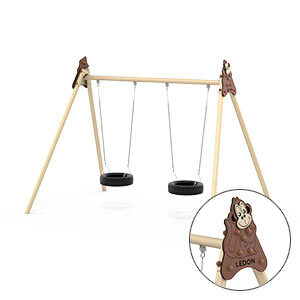 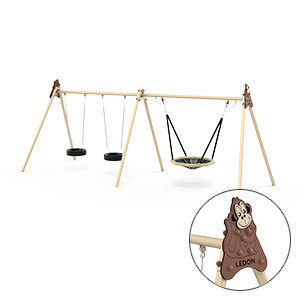 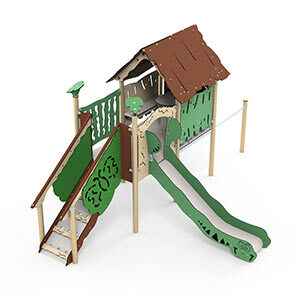 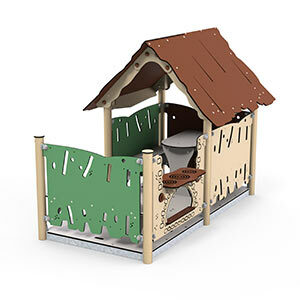 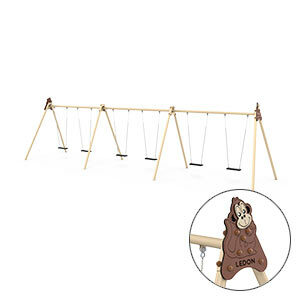 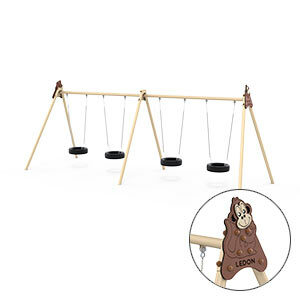 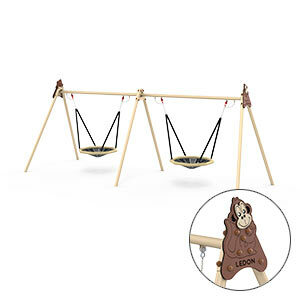 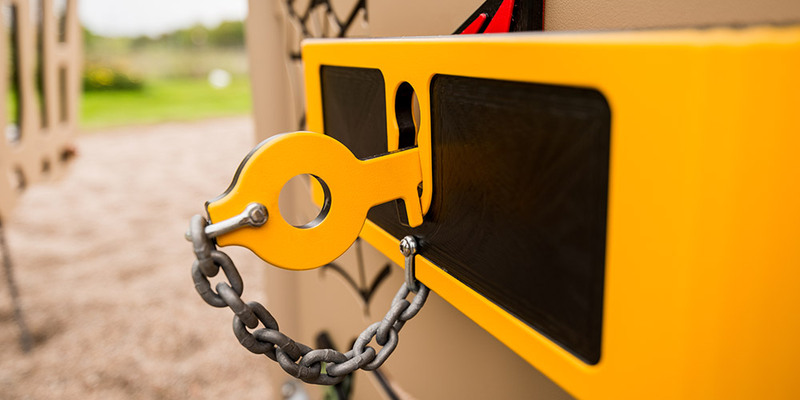 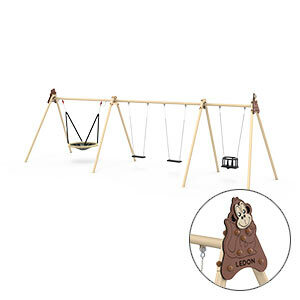 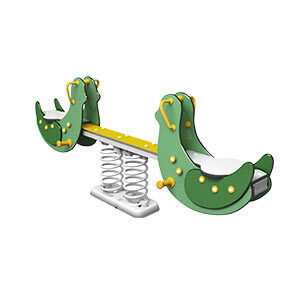 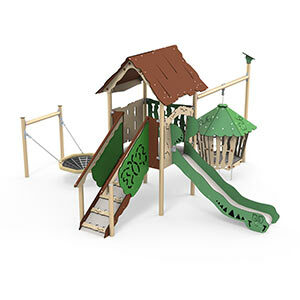 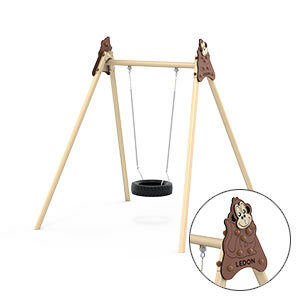 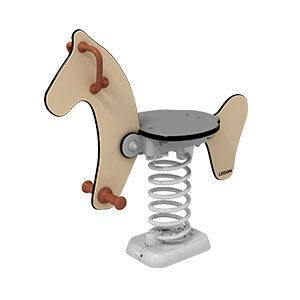 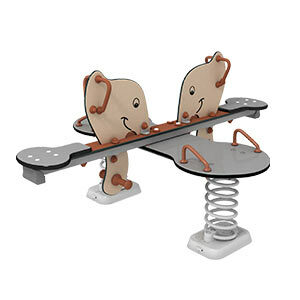 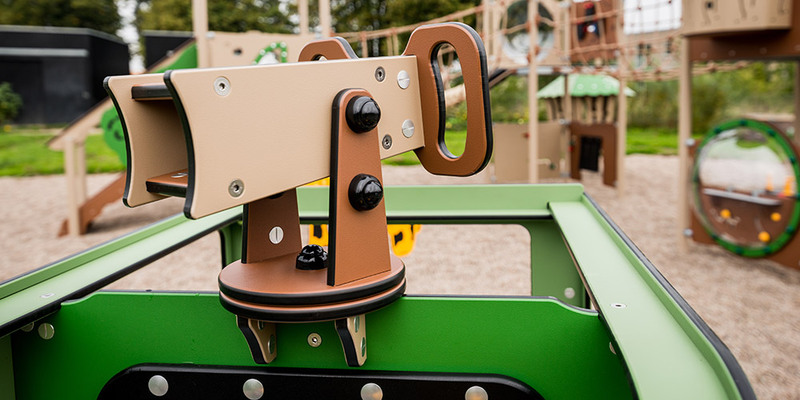 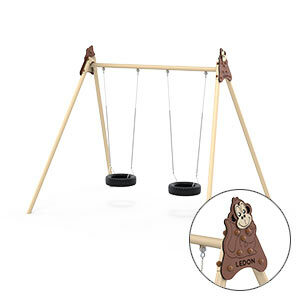 Therefore, our play equipment is approved according to the European EN 1176 standard. 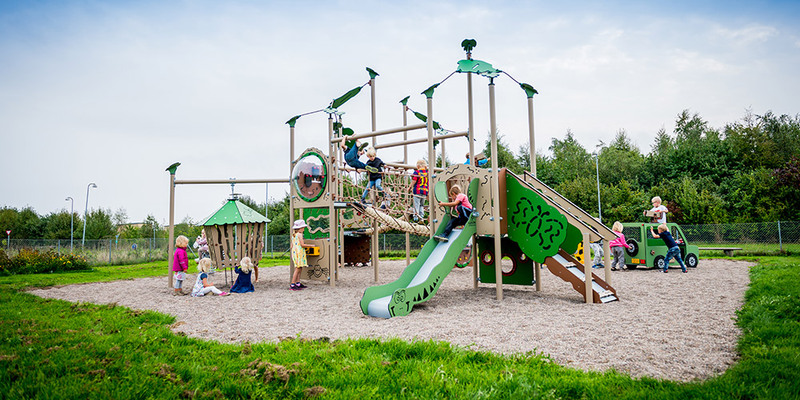 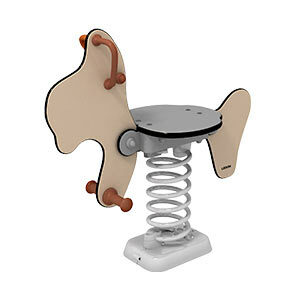 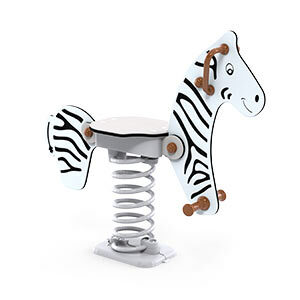 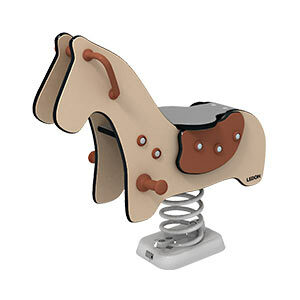 It is your guarantee that the children using the equipment are perfectly safe. 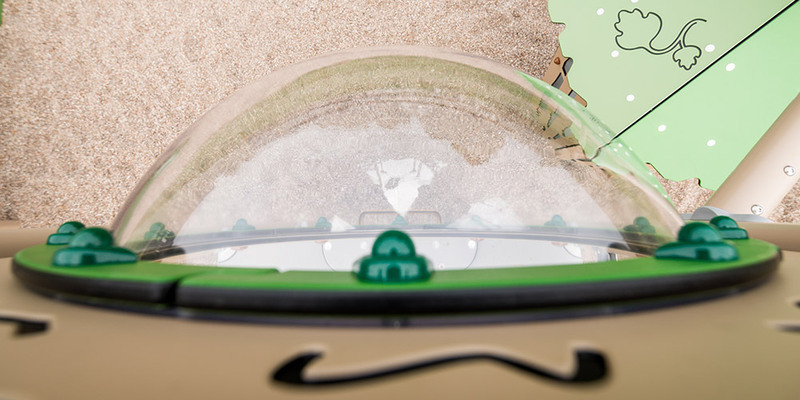 Welcome to the world of LEDON Explore – are you ready to go exploring? 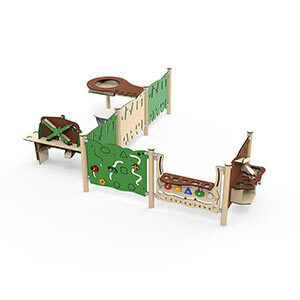 It takes both balance and coordination to make it across suspension bridges and jungle bridges. 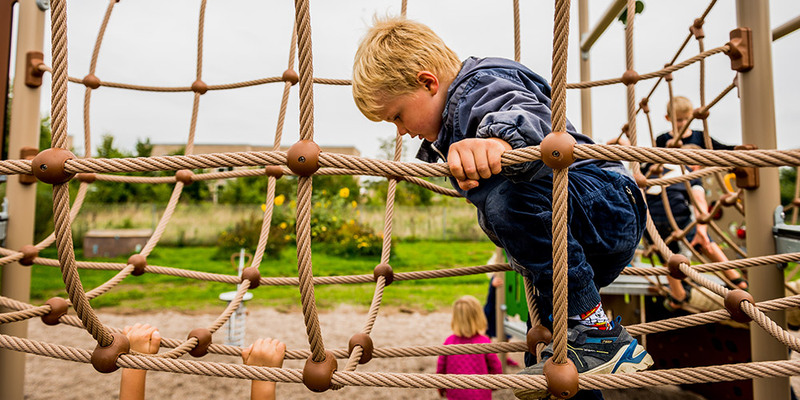 The jungle bridge with its thick plaited rope requires excellent coordination skills compared to the suspension bridge with its solid base – which toddlers can cross too. 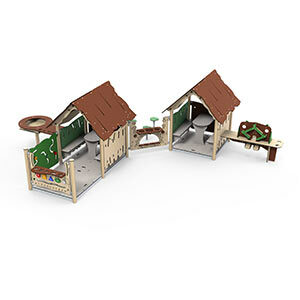 LEDON Explore caters for a wide age range, with several age- appropriate ways of accessing the systems. 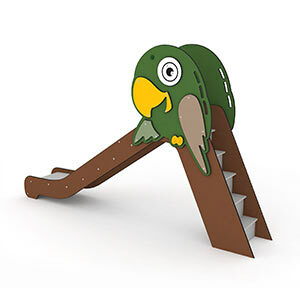 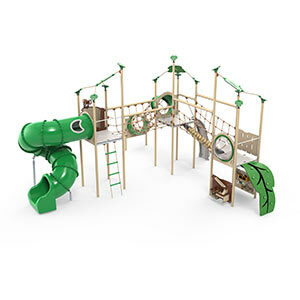 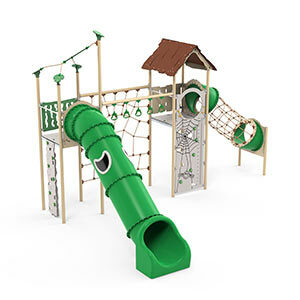 The stairs can be used by even the smallest children, while vertical and curved climbing walls challenge the somewhat older climbers. 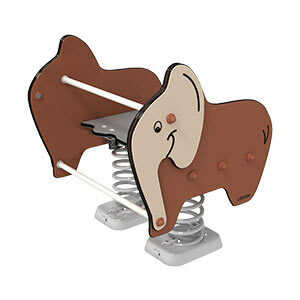 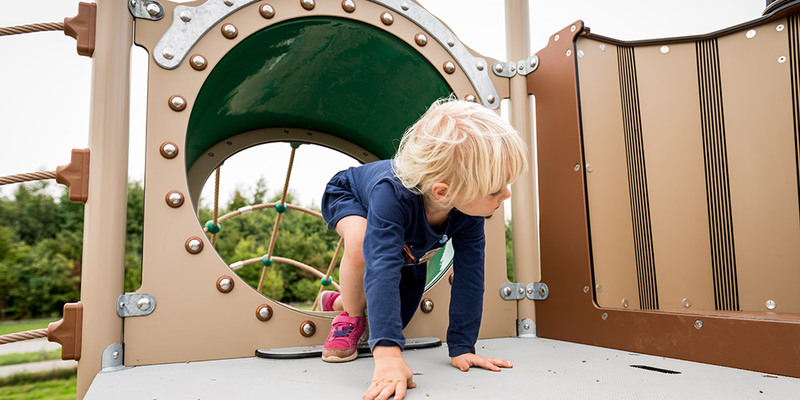 A climb to the top exercises children’s gross motor skills, balance and coordination. 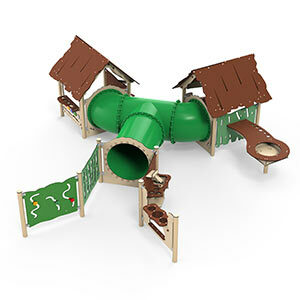 Several LEDON Explore models have both open slides and closed tunnel slides with windows. 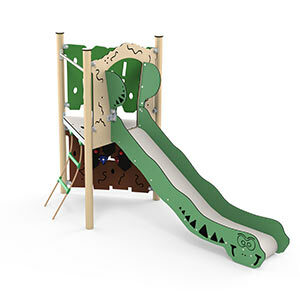 As it is made of polyethylene, the sliding surface does not overheat in the sun. 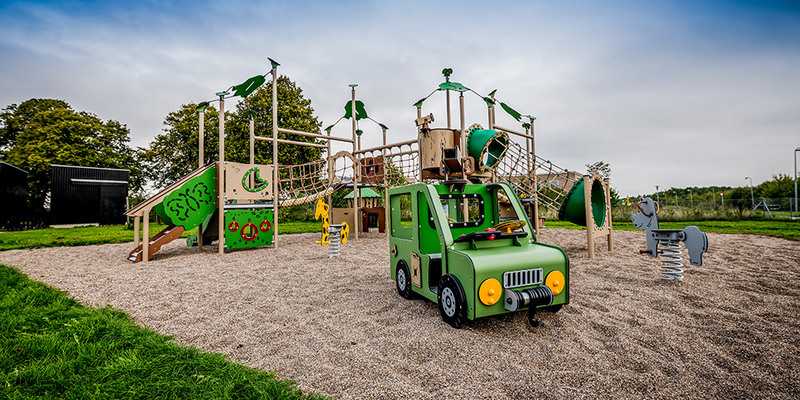 Children love dens and hiding places, and LEDON Explore therefore incorporates several hideaways in the different play environments. 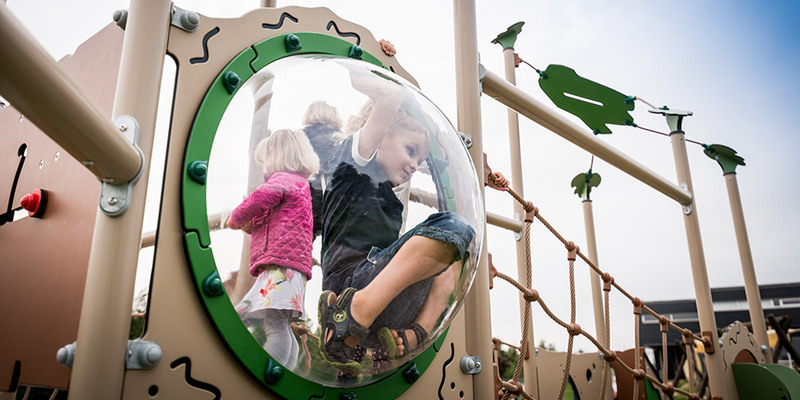 The big wide world can also be explored through the large distorting domes, or through the big windows that will spark fun games and lots of interaction, and which also give children a good sense of space. 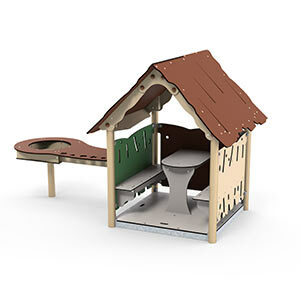 Both the domes and windows are made of impact-proof polycarbonate. 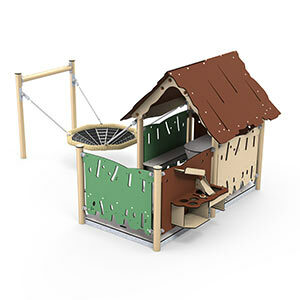 Whatever their age, children love dens and caves where they can hide, talk and swap secrets. 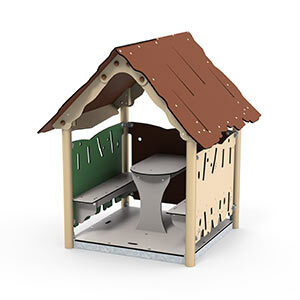 Therefore, the moveable jungle hut is hugely popular. 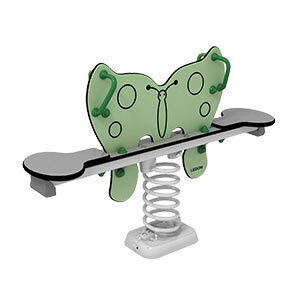 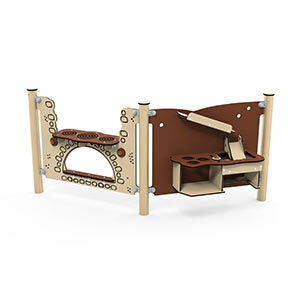 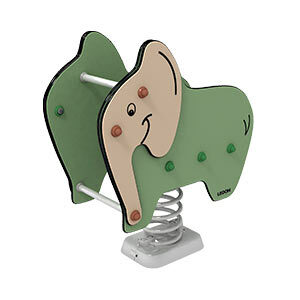 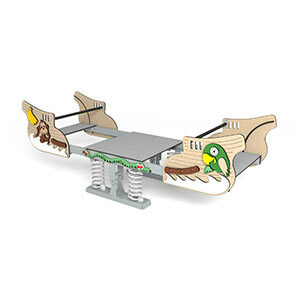 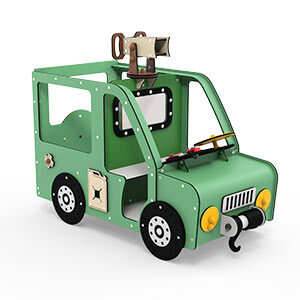 LEDON Explore has several different play panels designed to encourage imaginative play and role-play. 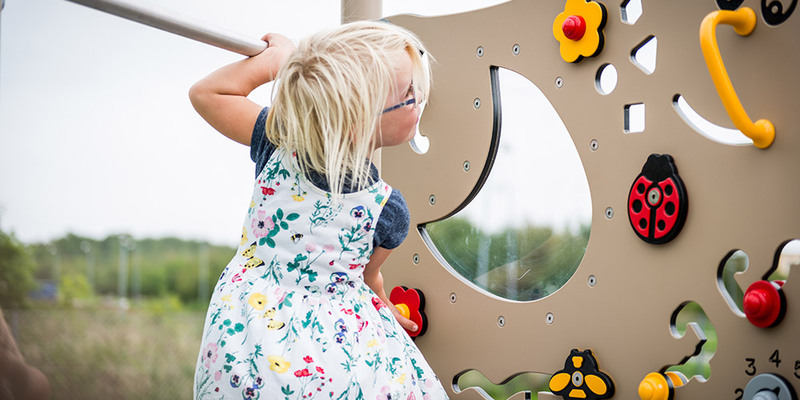 All play panels are developed in collaboration with children while focusing on the five development areas in LEDON’s value flower. 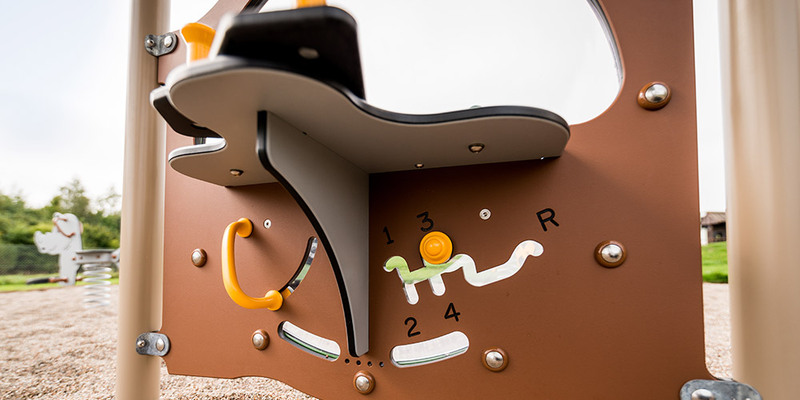 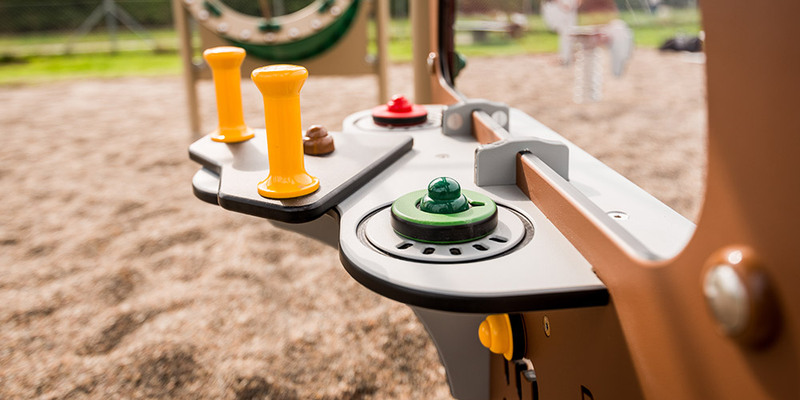 In this way, we ensure that our play panels are full of fun, while also stimulating children’s natural development. 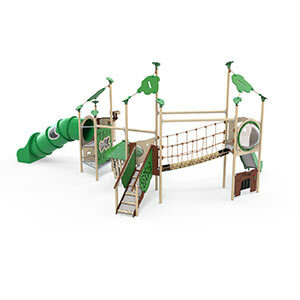 The low steps ensure that even toddlers can join in the fun. 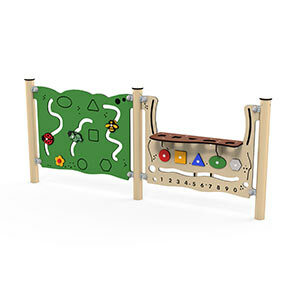 On the way, they are drawn to a side panel filled with different activities. 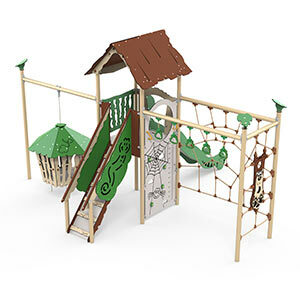 Many Explore elements set the scene for role- play, for example this cosy field kit- chen. 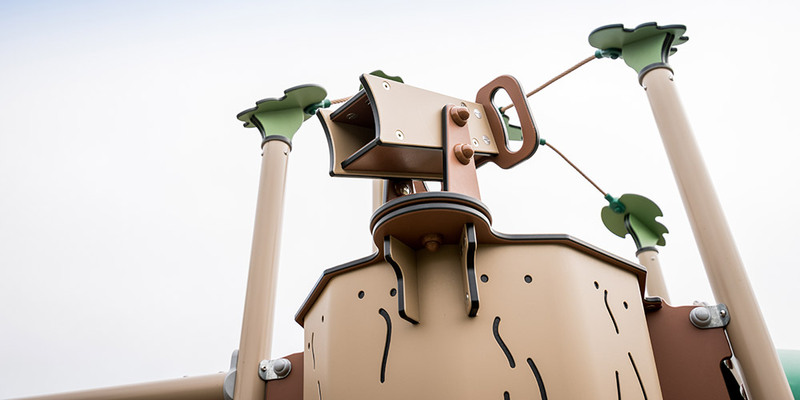 What are we going to cook today? 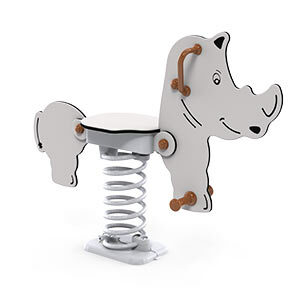 When is dinner ready? 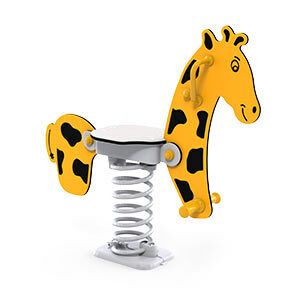 There are hours of fun to be had in the kitchen. 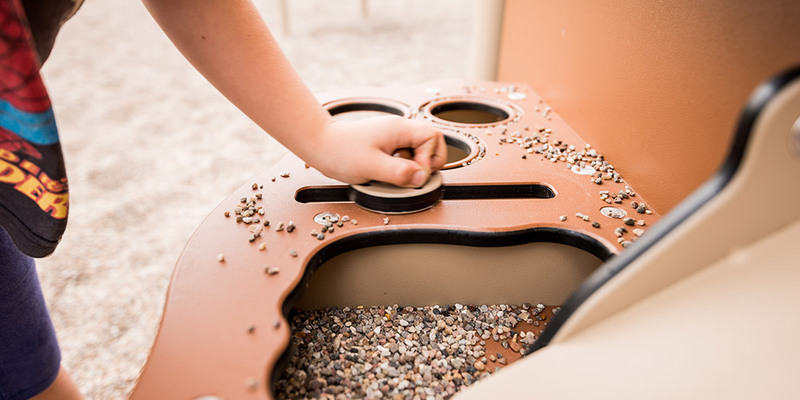 LEDON Explore uses many small moveable elements that stimulate children’s fine motor skills, helping them to understand cause and effect, while strengthening their language development. 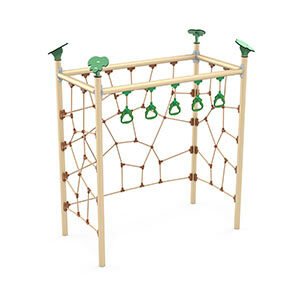 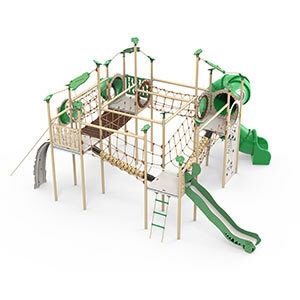 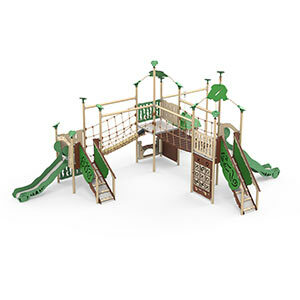 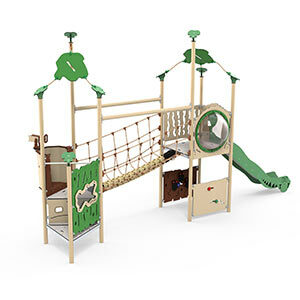 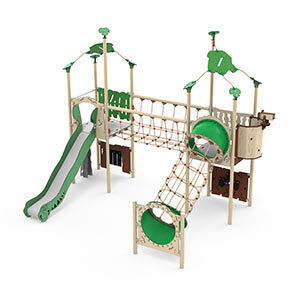 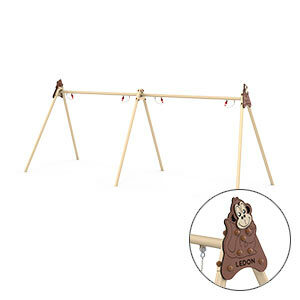 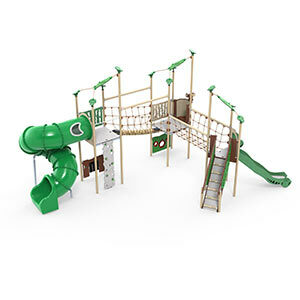 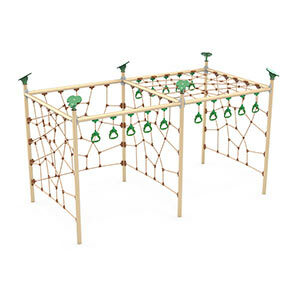 This specially developed climbing net trains cross- coordination and motor skills. 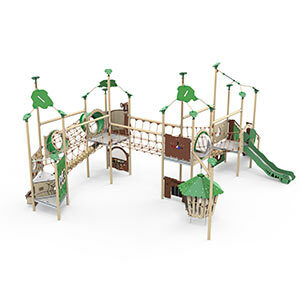 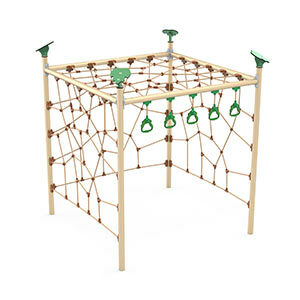 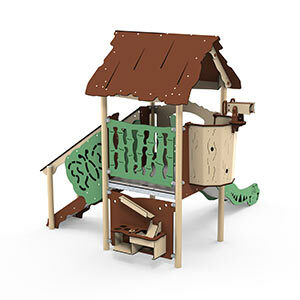 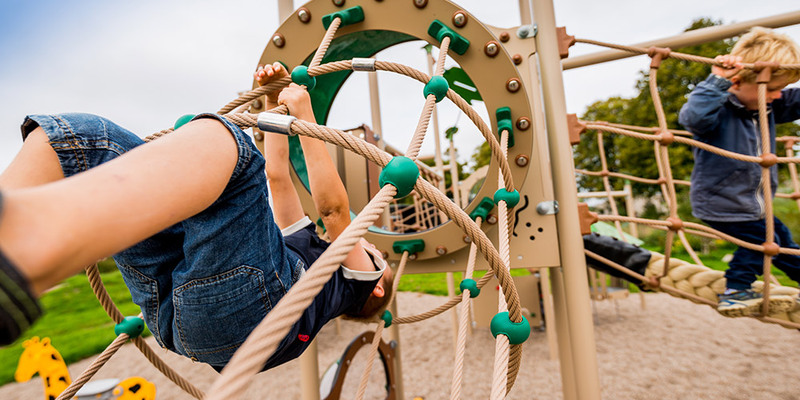 Children can climb inside and outside, providing challenges for both beginners and real climbing monkeys. 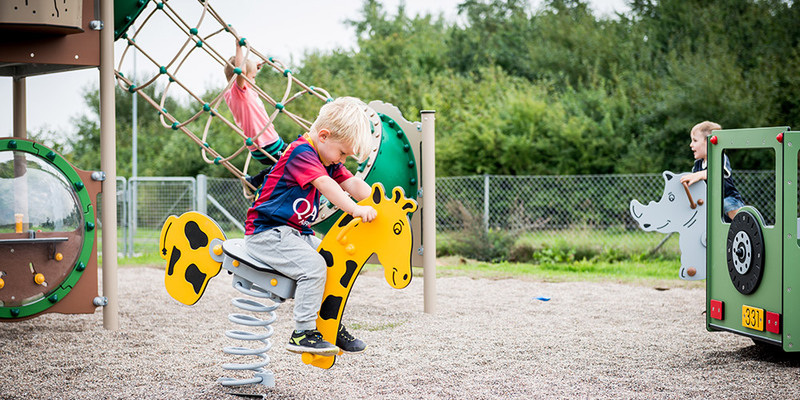 Children are experts when it comes to playing, and for that reason, it is important that we acknowledge this and involve them in the development process.